I decided to read Z: A NOVEL OF ZELDA FITZGERALD by Therese Anne Fowler (New York: St. Martin’s Press, 2013) after viewing Woody Allen’s “Midnight in Paris” (not once, but three times! ), visiting the grave of Scott and Zelda Fitzgerald in Rockville, Maryland, and viewing once again the 1974 version of “The Great Gatsby.” There is just something about the interwar era and its ambience which draws me to anything associated with that period. Whatever the case, I could not resist reading Z. The novel is written almost as an autobiography. In fact, I had to keep reminding myself that it was, in fact, a work of fiction. Ms. Fowler has Zelda relating the story of her life from 1918, when she first met Lieutenant Scott Fitzgerald, until Scott’s death in 1940. The reader is able to see and experience the “Jazz Age” through the eyes and emotions of Zelda. As I journeyed through the two decades of Zelda and Scott’s turbulent life together, I kept wondering how much of Zelda’s struggle to establish her own identity, apart from always being known as “F. Scott Fitzgerald’s wife,” was true. I felt sorrow for Zelda as she tried repeatedly to love Scott despite his obvious obsessive jealousy. Scott himself struggled with his own doubts about his talent as writer and his fear of slipping into the shadows behind a wife whose potential success as a writer threatened his own self-image. I felt sorrow for Zelda as she fought a mental illness that neither she nor the doctors of that time were able to understand. Today, she would likely have been diagnosed with bipolar disorder, a treatable illness. Unfortunately for Zelda the best knowledge about mental illness of that time was very limited. Much of the treatment she apparently received was not what some someone suffering from bipolar disorder would receive today. Although Ms. Fowler wants the reader to remember that Z: A NOVEL OF ZELDA FITZGERALD is a work of fiction, she does inform us of the extensive research she undertook in order to write the novel. There is one quote attributed to Ernest Hemingway, whether in fact so or a creative invention of Ms. Fowler’s, that I feel sums up the ambience of that period for which Scott coined the descriptive term, “the Jazz Age.” “Nature tests you, and if it finds you worthy, it lets you live another day.” In reality, all the glitz and glamor associated with the Jazz Age was only an illusion that hid the pain felt by a generation wounded by the Great War and all that followed from it. Perhaps the Jazz Age was a distraction, an attempt to ignore psychological pain. I seldom read novels, but when I do, I want one that is more than just a story, a brief diversion from everyday boredom. 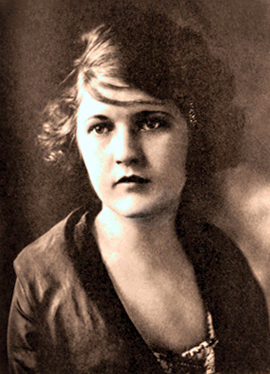 Therese Anne Fowler’s Z: A NOVEL OF ZELDA FITZGERALD fit the bill, and so I award it five stars. Until next time, be good to all God’s creatures and always walk under the mercy.